RUSH: Let me go to the phones. I need to get started. Open Line Friday always try to get started with phone calls in the first hour. This is Kate in Warrenton, Virginia. Great to have you with us. CALLER: Hey, Rush. It’s an honor to speak with you. RUSH: (laughing) Aren’t you sweet. CALLER: We had a great time. They really know what they’re doing there. RUSH: (chuckling) “You’re here.” He was very nice, just like you. 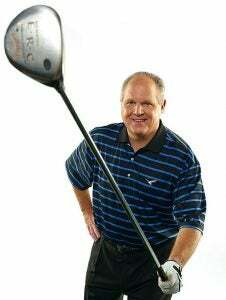 Of all the people you could cite at the Masters, “Rush Limbaugh’s been here.” Was it your first time there? CALLER: It was. I had been putting in for about five years and finally got tickets. I was able to take my dad. He got to take his dad. We saw Hogan’s Bridge, Amen Corner, we had our pimento-cheese sandwich. We were able to watch from the driving range, and my husband, Dave, said, “I wonder if that fairway was as steep as Rush was talking about.” So we hiked up that; we got our picture at the circle. We just had a great time. RUSH: What did you think? When you walked up 18, what’d you think of it? CALLER: Yeah, that was definitely a hike, for sure. RUSH: It’s much steeper than television makes it look. CALLER: We agreed, for sure. We had a great time, and we hope to do it again. 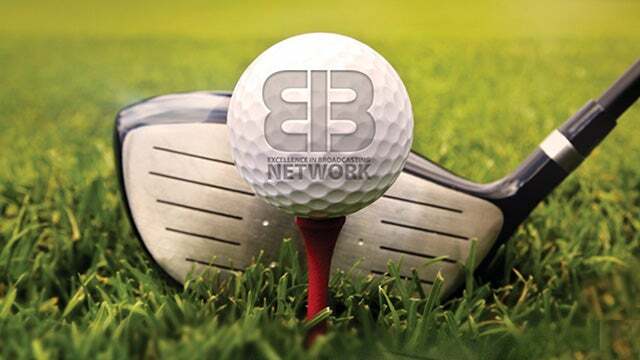 RUSH: Do you and your husband play golf? CALLER: Mine would probably roll back to the tee (giggling) on that hill. RUSH: It’s steep. It’s just one of the things that television can’t show. Just because of 2D, two dimensional, it cannot tell you how steep it all is. RUSH: That’s great that you got to go, because it’s hallowed ground. The place is hallowed, revered ground. You were just there for one day, the practice round? RUSH: Well, I’m glad you got to do that. It is a big deal. RUSH: It’s such a fun place. RUSH: Well, I’m blown away by that. I really, really appreciate that. Thank you, Katie. That’s just… I’m used, you know, to being thought about and thought of. But I never would think that you’d go to Augusta and you’re walking the grounds and you think of me. (laughing) That blows me away. Anyway, I’m glad you called. Thanks so much. She wanted to walk up 18 because of what I’ve said about it. I remember the first time I was there. I was there. Steve Jones had qualified for the Masters, having won the U.S. Open before. I forget the year. He’s a good buddy of then-Phoenix Suns coach Paul Westphal. We got there I guess it was… We got there on Friday, and the first thing I did, I went to Amen Corner. I walked down there and then back up 18. I could not believe that uphill. It does not… I know I’m repeating myself here. It’s steep. I mean, it’s the kind of thing that cardiologists might be standing out there if you’re 70 years old and walking up that hill. You know, have the paddles ready for you, depending on temperature and everything? It’s that steep. Kate, thanks again for the call. Quick time-out, my friends, on Open Line Friday. RUSH: All right. Folks, I’m gonna go to the golf course and I’m gonna pretend that I’m playing Augusta National, and that little dream will be blown up in a couple minutes, but I’m still gonna pretend.